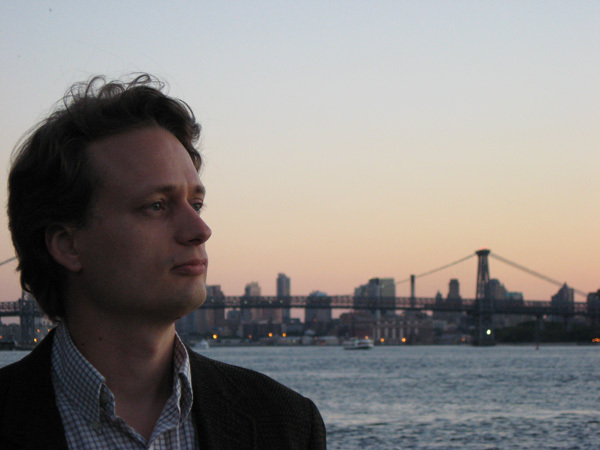 Musical Ecologies continues on Thursday May 16 with Brooklyn-based composer Jason Cady who will present a broad range of short works for voice and ensemble. From a 1993 composition for soprano, blender and ice cream to an excerpt from a current opera-in-progress about zombies, the program will showcase Cady’s extensive body of vocal, chamber and operatic works. The performers will include sopranos Amelia Watkins and Erin Flannery, mezzo-soprano Lisa Komara with Tim Dahl, bass guitar, Matt Hurley, percussion and the composer on synthesizer. Upcoming on Musical Ecologies: Dan Joseph solo (6/13). Comments closed — Trackbacks closed RSS 2.0 feed for these comments This entry (permalink) was posted on Monday, April 15, 2013, at 9:54 am by Dan Joseph. Filed in uncategorized.